Christine Kettaneh, time cutting time, laser-cut acrylic pieces and artist book, 2013, Exposure 2013, Beirut Art Center. Christine Kettaneh, time cutting time (detail), laser-cut acrylic pieces and artist book, 2013, Exposure 2013, Beirut Art Center. The key was once blank and whole; then cut and left forever mourning. We always obsess about losing or misplacing the key because the key embodies power; with it we control our ownership, our security. The key fosters the separation between “yours” and “mine.” It represents our fears from one another and our desire for independence from each other. It stands for our desire for possession, power and hence, hierarchy. But this system of keys has trapped us, constantly growing us apart and blinding us from our very nature, the predisposition for a life of relationships and community. I am interested in the bits of the key that get lost when the key is cut. They leave a space, but not an absence, because it is in that space that the essence of the key system lies. Every time a key and the right lock do their affair, that space is reactivated. The pins align in one unique mute melody. And then there is an opening, a closing, a sharing, a stealing and an on and off. And I wonder what would result if I asked key cutters to save all the metal filings - that metallic dust that gets lost when the keys are cut. What if I collected them? What if I restored the wholeness back to the keys? Christine Kettaneh, mute melodies, installation. Exposure 2013, Beirut Art Center. 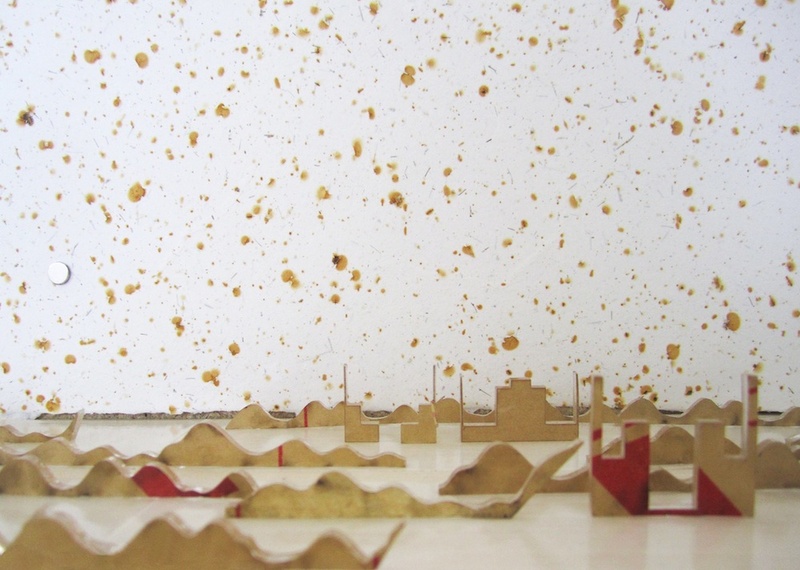 Christine Kettaneh, time cutting time (detail), laser-cut acrylic pieces and artist book, 2013. Exposure 2013, Beirut Art Center. Exposure 2013, Beirut Art Center. Image courtesy of Roland Ragi. Christine Kettaneh, bags of 'unobsessivenesses', bags of metal filings, 2013. Christine Kettaneh, mute scape, laser-cut acrylic pieces and handmade paper with embedded metal filings, 2013. 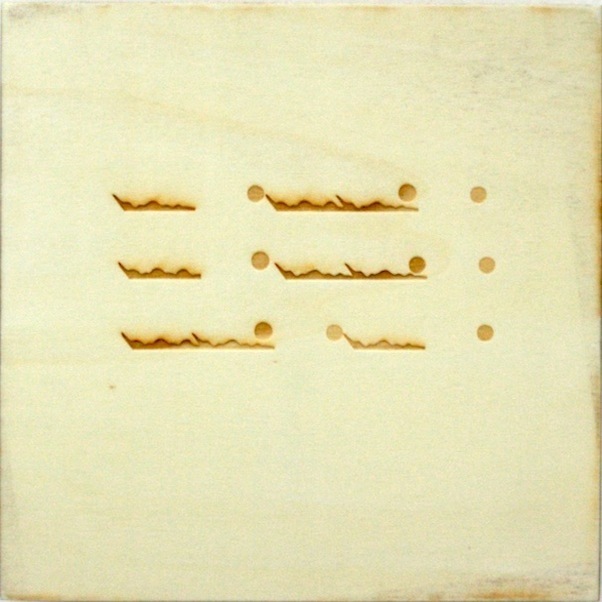 Christine Kettaneh, mute melodies, laser-engraving on plywood, 2013. 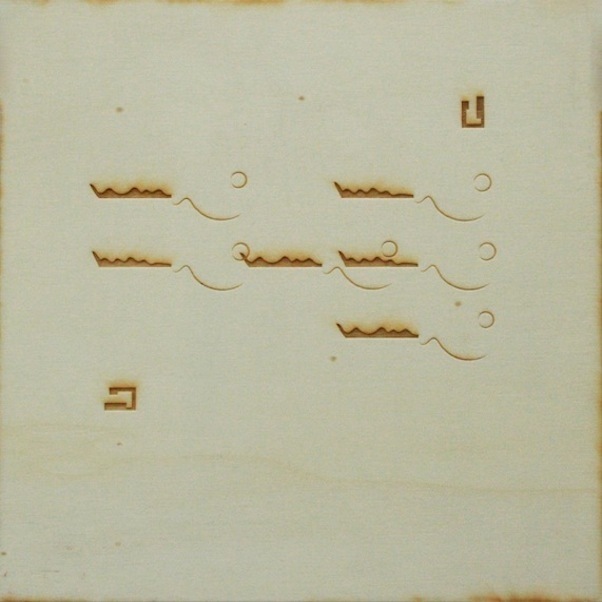 Christine Kettaneh, mute melodies, laser-engraving on plastic, 7 pieces, 2013. Site specific installation, permanent on Sidgwick Site, Cambridge. As part of Art:Language:Location 2013. 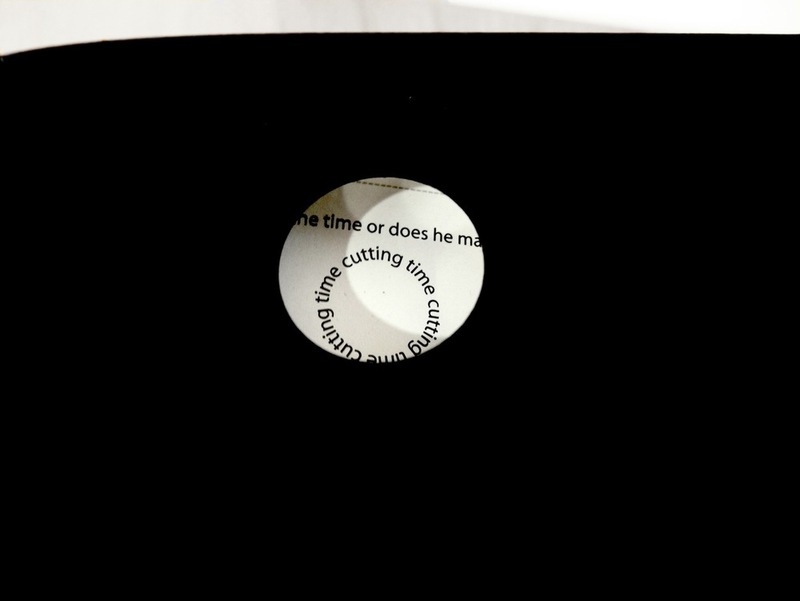 Christine Kettaneh, time cutting time, laser-cut acrylic pieces and artist book, 2013. Site specific installation, English Faculty Library, University of Cambridge. As part of Art:Language:Location 2013. Christine Kettaneh, mute melody to C dot, laser-engraving on plastic, 2013. 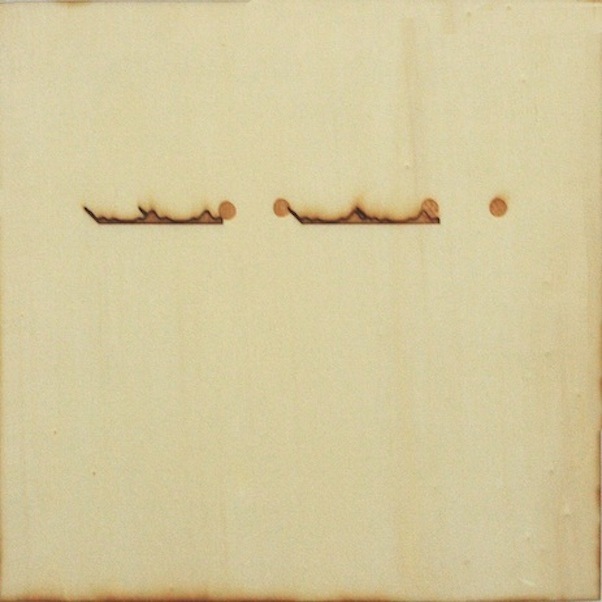 Christine Kettaneh, mute melody to I dot, laser-engraving on plastic, 2013. 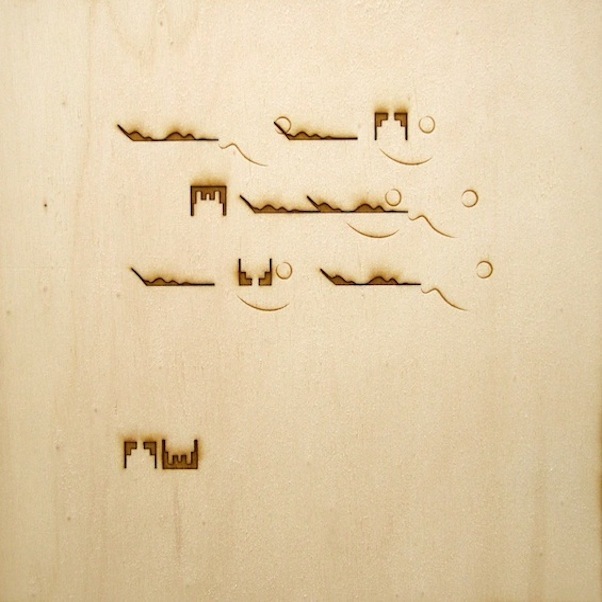 Christine Kettaneh, mute melody to P, laser-engraving on plastic, 2013. 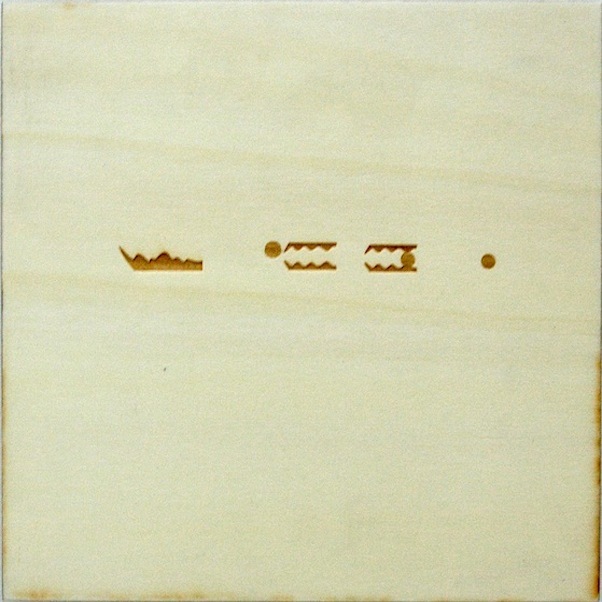 Christine Kettaneh, mute melody to G dot, laser-engraving on plastic, 2013.